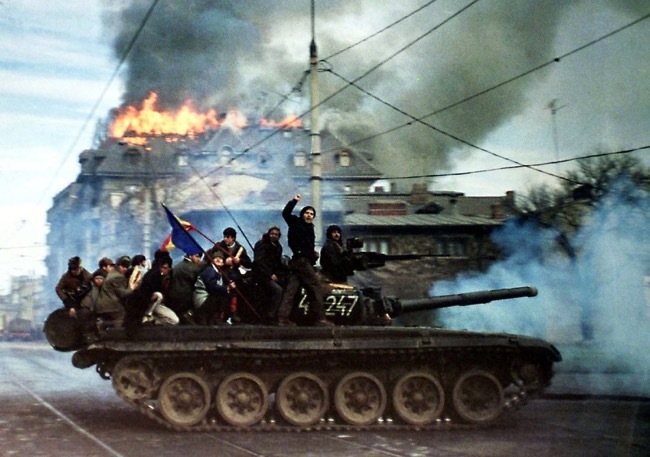 It’s hard to believe that nearly thirty years have passed since the fall of Nicolae Ceaușescu‘s iron grasp of Romania. Until 1989, Bucharest was an impenetrable seat of power under the guise of communism and social equality. But in truth, its citizens were methodically drained for decades and left broken and neck-deep in resentment. 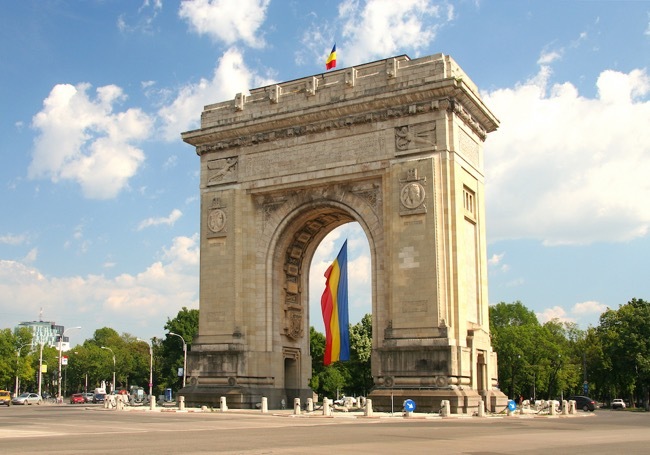 Desperate and armed with only stones and courage, Romanian people decided it was enough. On December 22nd, they managed to breach through walls of loyalist troops guarding the Parliament Palace. The violent scene on that fateful day had got the dictator fleeing the Parliament Palace in a helicopter, bringing victory to the revolution and a new historical chapter to the nation. Immediately after the fall of communism, it was still a turbulent, uncertain period, especially for people who came from abroad. The Henri Coandă International Airport airport in Otopeni didn’t inspire a warm welcome as it does now. There weren’t many flights to Bucharest so people knew when a plane arrived from the West. The moment visitors cleared the customs, they would get mobbed out of desperation. Sadly, it was a fight or flight situation on a daily basis. The streets were riddled with bullet holes, unfinished apartment blocks, and ghostly cranes dangling about. Electric power wasn’t available at all times, bribing tourism officers for each service was customary, and looking “western” was frowned upon. It was considered a bold move to strike up a conversation with someone outside of the nation’s borders but a carton of cigarettes would have done you wonders. Because Ceaușescu damaged relations and a sense of trust among people so much, the entire world thought of Romania as a third world country that barely manages to function. However, in time, Bucharest has succeeded in unveiling its new face. Luckily, the new generation doesn’t hold the grudges of the previous one. How so? Best to start at the very beginning of the change – the Parliament Palace. This heaviest structure in the world, which was once referred to as “that thing”, is symbolically transformed into a memorial of the nation’s suffering and a monument to victory. Countless visitors swarm its halls today to see the structure’s grandeur, opulent marble decorations, and even the tunnels which were used by the former dictator to escape the uprising against him. You can still occasionally see cranes, workers, and dust floating above construction areas across Bucharest. But the city is now filled with luxury apartments, office complexes, and preserved historic architecture, which gives the nickname “Little Paris” its weight again. The Otopeni airport is now on par with most counterparts in the West. The brutalist boulevards are teeming with activity and excitement. 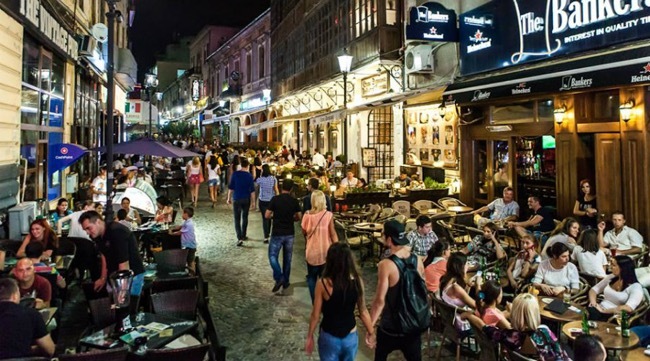 Nightlife is diverse, open-minded, and ready to welcome visitors from all over the world. The city that not long ago seemed so frail and drained of its essence is reborn into a hidden jewel that is dying to be discovered. Who knows what will it look like in another 30 years? True heroes are recognized in times of strife – and Bucharest has unmistakably succeeded in emerging as one. A city, which was once ravaged by a whim of just one man, is now a leader in the cultural development, world-class entertainment, and democratic revolution. Even to this day, you will see and hear about protests on the streets of Bucharest. This is clearly a nation that learns from its mistakes and doesn’t put up with oppression and injustice. Book a ticket and experience the change for yourself! “Little Paris” will open its arms and amaze you with its charm and fervor like no other post-communist metropolis.